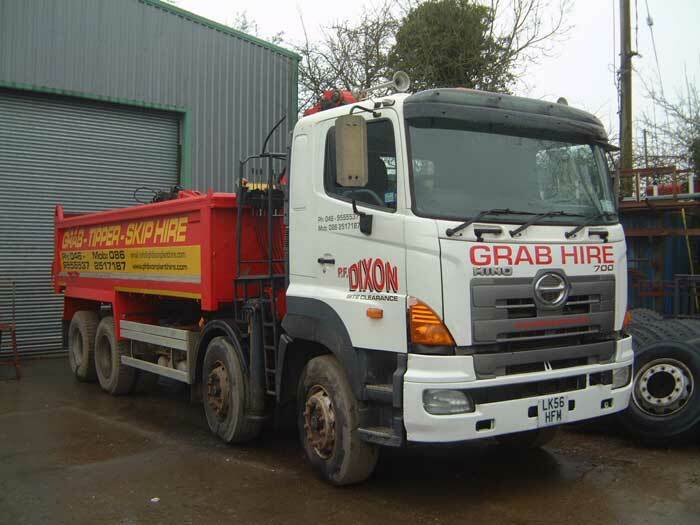 Depending on the waste to be removed and its location and accessibility, you may prefer to use a Grab Truck instead of a Skip. For advice on which solution would work best for you, please call us today on 046-9560056 and we will be happy to assist. 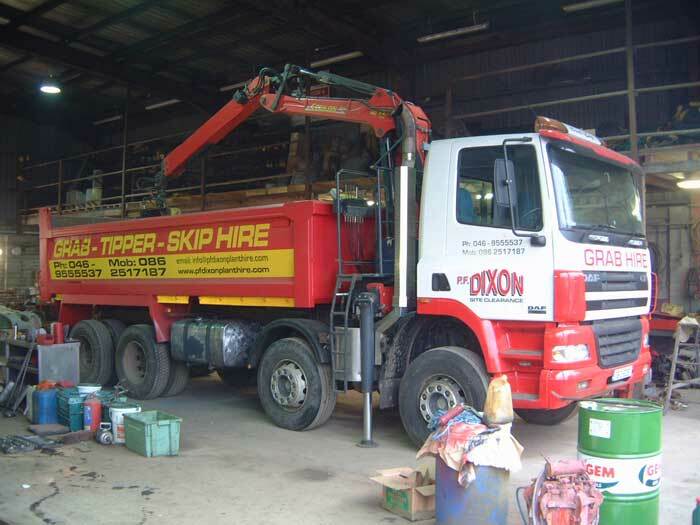 We provide a reliable and competitive service in a professional and safe manner and our range of services is tailored to the specific needs of our clients. 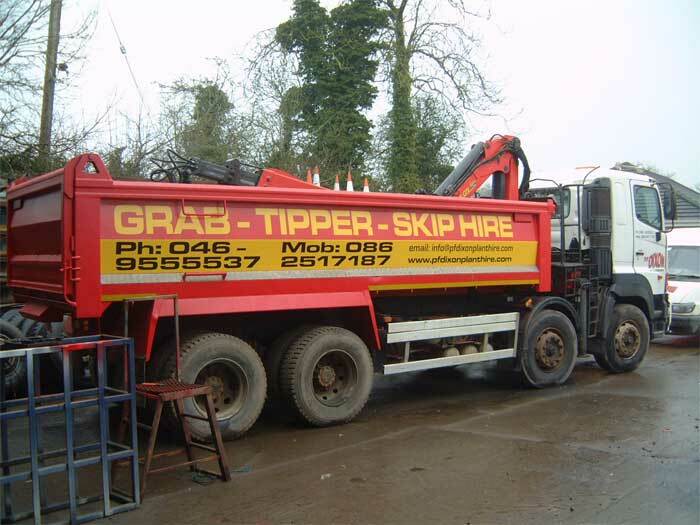 We hold permits for landfills and our haulage permits are available on request. No need for wheelbarrows and trying to load the waste material into a skip. 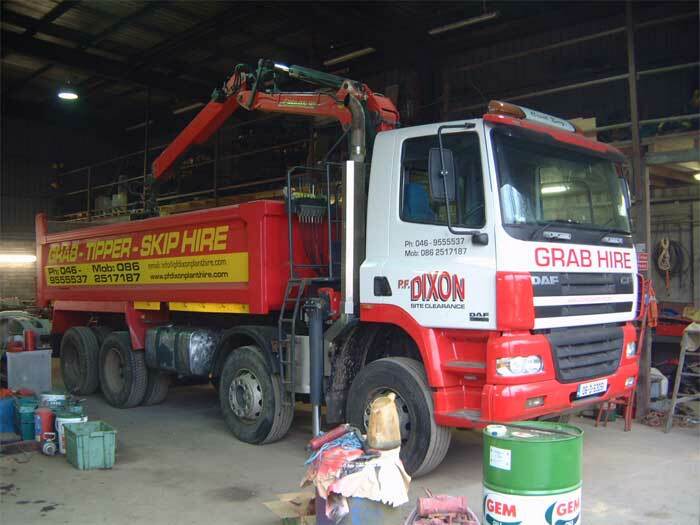 Our grab truck will be able to remove your waste material directly and load it onto our truck. 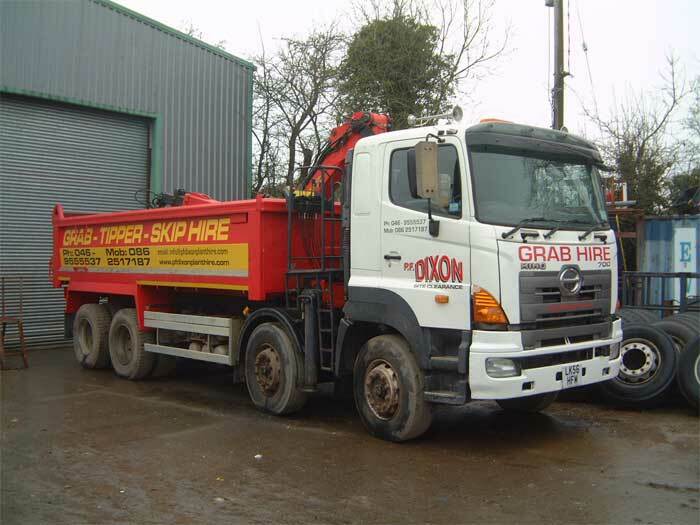 No need to calculate what size of skip you might require for your waste, our grab truck will remove all you have. 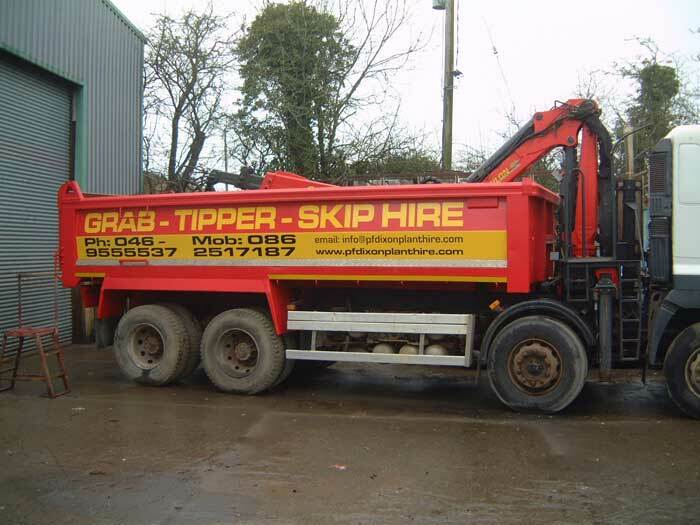 No need to worry about where a skip can be placed if space is at a premium. No need for a skip licence. 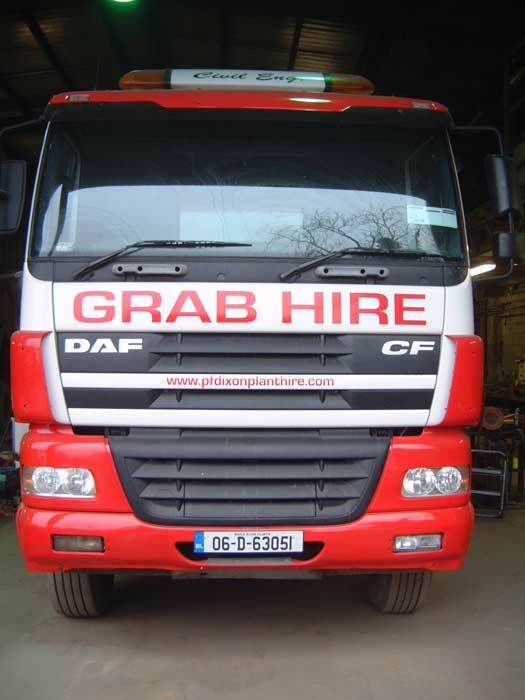 As with all our services, our rates are highly competitive so contact us today for your grab hire requirements. So please contact P.F. 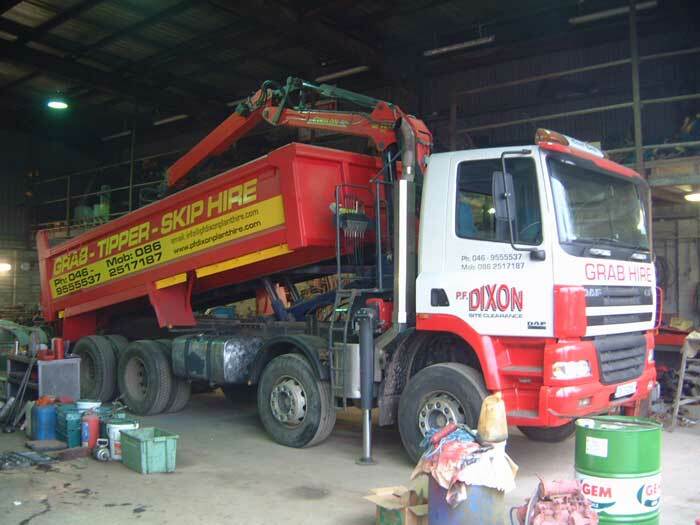 Dixon Plant Hire today to further discuss your requirements and to receive a competitive quotation.